Debenhams’ Q3 trading statement was eagerly awaited, following its far better than expected half year figures. This set are much more in line with what I expected at least. The “value of transactions” (aka sales) is up yoy for the 9 months to mid June. No profits are disclosed but profits guidance to the City is unchanged. In the wider competitive context, total clothing and footwear spend was up 2.8% over the period so Debenhams has certainly lost some market share. The company is a good example of a retailer caught in the middle of an increasingly polarising market. It has for many years been tied to an intensive promotional strategy and the company has been trying hard to manage its discount days down to defend margins. Doing this in a market which itself is getting increasingly promotional is not easy. While management says it is selling more at full price, there is no obviously noticeable change in the body language of its stores. It will be difficult to educate its customers to buy a little more at full price after decades of virtually back-to-back promotions. Most of the company’s narrative these days is around deals with third party partners. In short, this means giving increasing slices of Debenhams’ space to “tenant” companies. With sales per square foot of less than £200pa, it is very difficult for any retailer to make money and in this context, Debenhams actually does extraordinarily well to deliver the margins it does. It therefore makes sense to bring in other propositions that might generate a better return for stakeholders in the short term. 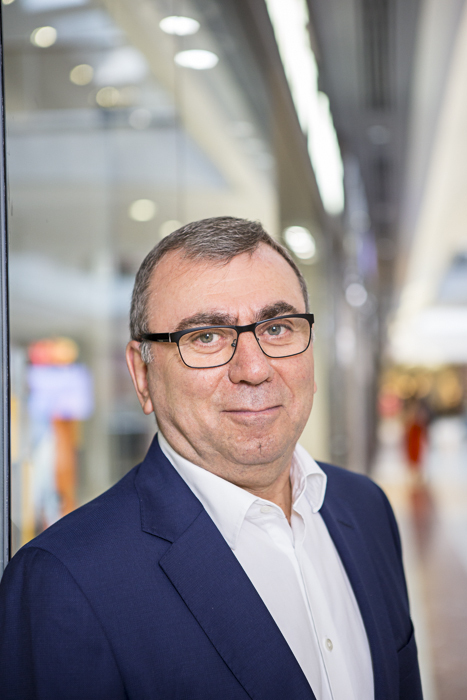 Nevertheless, the key footfall driver for third part occupants is Debenhams’ own proposition so one way or another, the fundamental challenge of becoming a far better retailer remains. Last week’s announcement from Waitrose of its Pick Your Own Offers promotion is certainly very different and innovative. It allows its 5.7 million myWaitrose loyalty programme customers to choose 10 products out of 1000 of its current SKUs and they receive a 10% discount every time they shop. The Waitrose MD Mark Price admitted that this is a gamble, itself an extraordinary word to use but especially coming from the John Lewis Partnership with its ultra conservative history and traditions. Nevertheless, Price has not been scared to innovate and the launch of Essentials, its entry level range has reinforced its value credentials and reassured customers. Indeed, it is hard to imagine the company faring anything like as well through this promotionally-driven market without it. Waitrose has in fact increased its market share by 1.1% since 2010, worth around £1.6bn in incremental sales. It has certainly been one of the key winners in the post-debt crisis market. However, share growth has lost its forward momentum this year and a substantial fall in operating profit reflects how even the more aspirational players are impacted by the fiercest competition seen in generations. The word gamble is certainly appropriate. Price himself estimates this could cost the company £250m to operate, so the business will need a very material sales uplift just to pay for it. Waitrose stands to learn lots from the scheme. In a market which talks lots about personalisation but tends to actually do very little, this is a loyalty programme that really is focused on individual customers. The retail industry is progressively losing its share of consumers’ spending. If our share of spending today had stayed at 2000 levels, retail sales would be worth £40bn more – the size of Tesco UK or 4x M&S. There is no better illustration of the progressive transition from a sellers’ to a buyers’ market. The early history of retail was highly fragmented and suppliers dominated distribution. As retail became increasingly concentrated among bigger businesses, so stores came to dominate the supply chain. This era was hugely profitable for the industry: demand outstripped supply and making money was relatively easy. This latest period since 2000 reflects a progressive transfer of power from retailer to customer. Against this background of eroding demand has been a relentless expansion of capacity. While growth through physical expansion peaked some years back, online has ensured that supply is increasingly outstripping demand. The impact on industry economics is profound, enforcing deflation. Last year saw the majors finally understand just how far their eyes were off the ball. Market shares fell and so too did management teams. And the second half of 2014 saw price deflation begin to take root. This is far from over however and the ramifications are only beginning to emerge. This year has seen the ante further raised. The first 4 months of the year have seen the value of the market actually decline yoy. From January to April UK consumers spent some £800m less on food than the year before – something that has never happened in all the economic ebbs and flows of modern times. All the evidence suggests that this will continue throughout the year and almost certainly beyond. And this very much underlines a new strategic reality – the competitive agenda is being set by Aldi, supported by Lidl and the variety GM discounters like B&M, Home Bargains and Poundland. The narrative of this agenda is extremely uncomfortable for the majors and while they have at least now woken up to all of this, recapturing the full ownership of their own destinies they took for granted for so long continues to elude them. One of the lessons of all this is that in mature, oversupplied markets, scale becomes rather less valuable. These businesses have for far too long relied on scale alone, and tended to pay lip service to understanding customers, their shifting priorities and the competitive landscape. All of this applies in equal measure to the non-food sector too. Big market shares are not a substitute for understanding demand, the sensitivities around it and how to deliver relevance to customers. The scene for turmoil in non-foods is set. Of all the retail markets, fashion is the most overcrowded. The first 4 months of 2015 have underlined just how tough life is in the apparel sector. The headline number looks OK – yoy sales by value are up 3.9%. Far from exciting but decent growth on the surface. Look a little deeper however and the picture becomes rather different. Selling price deflation has been 3% over the period, so that three quarters of the apparent growth has actually been given away. This needs to viewed in the context of operating cost inflation of 3% or more. 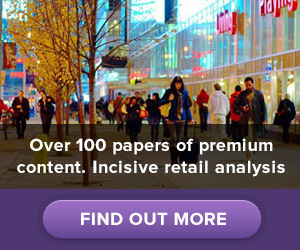 Walk down a major high street these days and sales and promotions have been become commonplace. Part of this has to do with the steady increase of online, a retail channel which relies heavily on a price narrative to engage customers. The price architecture across the total market is becoming increasingly compressed, narrowing the gaps between the various sectors: value, middle and premium. This is hurting most players in most sectors – scale and premium positioning no longer insulate anyone from the tyranny of overcapacity. With nearly 18% of all clothing sales, online has added significant capacity and cost without enlarging the market. Meanwhile, there has been little or no floorspace closures to compensate. No big clothing retailers have gone to the wall … yet. The real challenge is how to convey added value and brand values while offering an increasing diet of addictive price promotions which must dilute that very message.